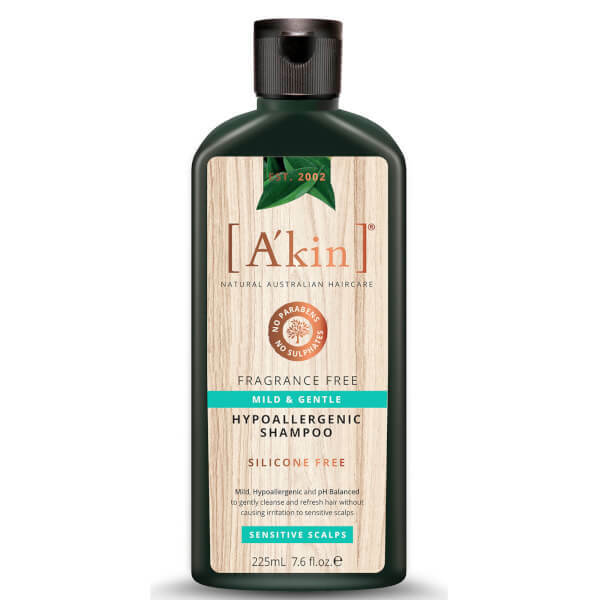 Catering specifically for sensitive or irritated scalps, the A'kin Unscented Very Gentle Shampoo works to refresh and revitalise hair without over-drying. 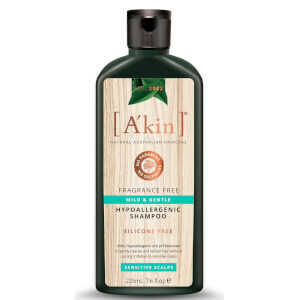 Fortified with six botanical cleansers, the pH-neutral, fragrance-free formula delicately eliminates impurities, whilst soothing and calming the scalp for long-lasting comfort. Ideal for dandruff, eczema, psoriasis and children's scalps. Aqua (Water), Sodium Lauroyl Sarcosinate, Cocamidopropyl Hydroxysultaine, Lauryl Glucoside, Disodium Cocoamphodiacetate , Sodium Lauryl Sulfoacetate, Sodium Chloride, Glycerin, Glyceryl Laurate, Sorbitol, Sucrose Cocoate, Citric Acid, Sodium Citrate, Sodium Cocoyl Glutamate, Sodium Gluconate, Sodium Hydroxymethylglycinate, Tetrasodium EDTA.